Bryn Aureau Cottage Pontllyfni, self catering cottages with instant confirmed online booking. We have Self Catering throughout Gwynedd , Wales . Accommodation near all the attractions, places to see and things to do.......You are able to make an instant secure confirmed online booking. We also offer Gwynedd AND Wales travel and tourist information.. This beautiful, detached holiday cottage is set on the northern coast and is within easy reach of the Snowdonia National Park.. Within a mile of the beaches of Pontllyfni and Aberdesach, lies this delightful, detached stone cottage. Set on the northern coast of the Lleyn Peninsula, it offers a perfect location for touring this beautiful corner of North Wales. 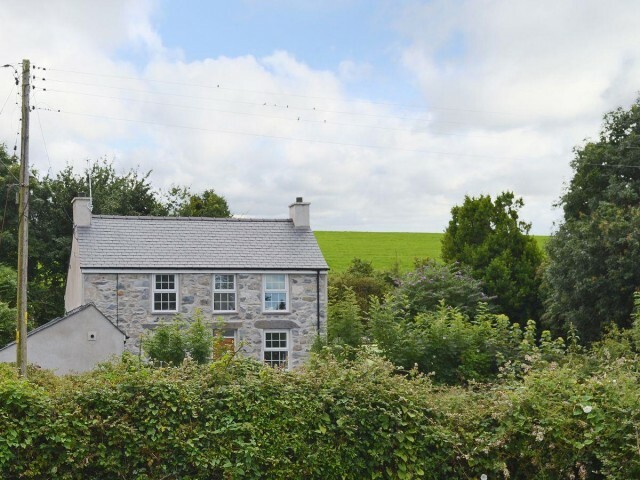 Surrounded by open countryside and pretty country lanes, it lies within easy reach of the Snowdonia National Park. There are many visitor attractions in this area, which include steam railways, castles, water sports and superb sandy beaches. Llanberis, at the foot of Snowdon, is home to both lakeside and mountain railways, as well as a slate museum, the Electric Mountain and footpaths to the summit of Snowdon. Beach 1 mile. Shop 2 miles, pub and restaurant 3 miles.. Ground Floor: Step to entrance.Living/dining room: With wood burner, 24" Freeview TV, DVD player, iPod dock, wooden floor and patio doors leading to garden.Kitchen: Galley style with electric oven, gas hob, microwave, fridge, freezer, dishwasher and tiled floor.Cloakroom/utility room: With toilet, washing machine and tumble dryer.Sun room.Bedroom 1: With single bed.Steep stairs to.... First Floor: Bedroom 2: With double bed.Bedroom 3: With double bed.Bathroom: With bath, shower cubicle and toilet.. LPG central heating, gas, electricity, bed linen, towels and Wi-Fi included. Logs for wood burner available locally.. Enclosed lawned garden with sitting-out area and garden furniture. Private parking for 3 cars. No smoking.